Welcome to Sixes Living Magazine’s New Blog! We are extremely excited to offer a new way for residents of the Sixes community to engage with each other and learn about events going on in their community! Sixes Living Magazine is the rebirth of a magazine that was originally launched twelve years ago. The Sixes Living title, which has a U.S. patent and trademark, is part of AroundAbout Local Media, Inc., a Cherokee County-based company started in 1996. Our core mission is to build a strong community by sharing helpful, hopeful news and information involving the people, businesses and institutions in the Sixes area. Today, ALM is proud to have three North Metro Atlanta titles in its franchise system, serving the communities of Towne Lake, Sixes, and Walton. 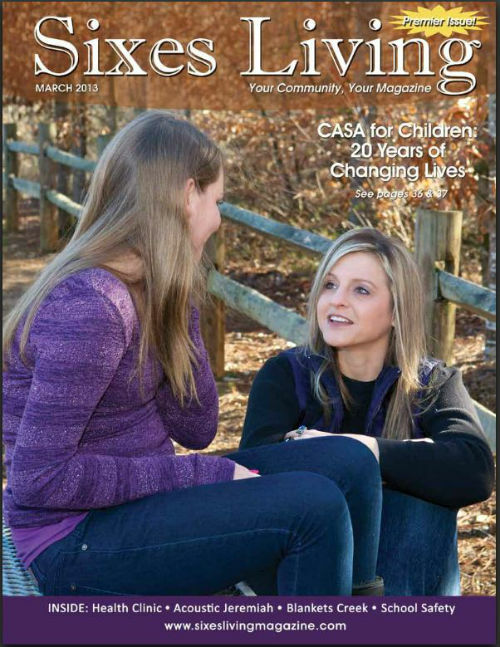 Sixes Living Magazine’s new editor, Candi Hannigan, has lived in Cherokee County with her husband and three children for 25 years. Candi is a career journalist with experience at three major metropolitan newspapers in the Southeast. She was part of the start-up of the Cherokee edition of the Atlanta Journal-Constitution, covering the community of faith. Eight years ago, along with BridgeMill resident Cheryl Ruffer, Candi helped launch a back-to-school ministry called Give a Kid a Chance – Cherokee, which is now supported by 30-plus local churches and hundreds of volunteers. We welcome you to take a look around and familiarize yourself with our new site. Feel free to contact our office or leave a comment with any questions regarding articles in the magazine, upcoming events, or something specific you’d like us to feature in a blog post. We’re here to help! Also, be sure to follow along with us on Facebook and Twitter!